A recent landslide in Sichuan Province in Central China is the cause for more than 100 people feared dead. 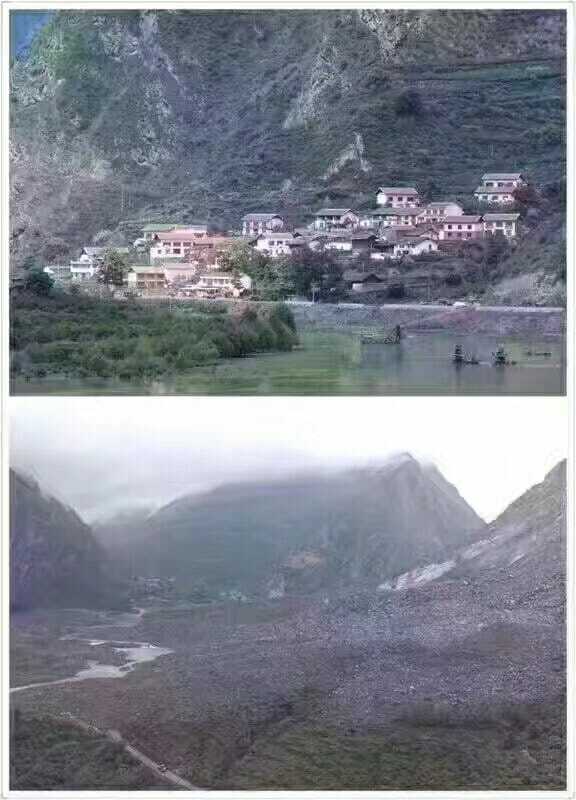 The small town of Xinmo, a remote village in north Sichuan, is all but gone after the natural disaster. Chinese state media said more than 60 homes were covered in rock and mud in Xinmo, a remote village in north Sichuan. The debris slid half a mile down a steep slope to block a stretch of river and of road, according to Xinhua. A rescue effort was launched involving more than 1,000 workers. Xinhua, quoting rescue headquarters, said 15 bodies were retrieved on Saturday, with 120 more people believed to have been buried. The state broadcaster, CCTV, reported three people were pulled alive from the rubble: a couple and their two-month-old baby. Another child from the same family remained buried. One video from China from 2014 shows cars stopping to avoid a landslide. In the video, however, one man is not so lucky as a rock the size of a large watermelon crushes him as he is running from the rock fall. Here’s also the five largest landslides caught on camera. Based on these and the pictures above, the townsfolk in Xinmo will be very lucky to be alive.